No matter how chaotic life is in your household, one thing is certain – your child is growing up fast and learning how to conquer the world without help. Although your child is getting more and more independent each day, your child’s skin still needs extra protection. The skin of a child is thinner than an adult’s and not fully developed, so the ideal form of skin care is a certified natural product. With WELEDA natural care you cannot make a wrong decision, as our kids products are super-gentle to your children’s delicate skin and even mild to the eyes. Kids 2in1 Shampoo & Body Washes have built-in “I want that!”. 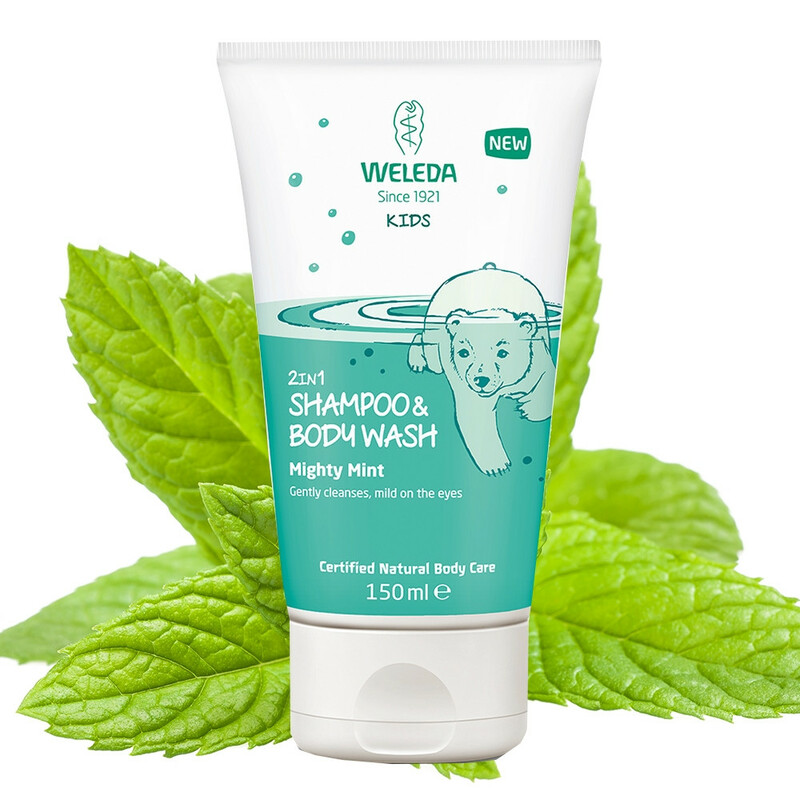 Weleda developed the range with their team of little grown-ups, all advising skincare experts how to make a natural bathtime fun. The result: caring ingredients, super-mild cleansers and child-friendly, natural fragrances in a tube designed for fun. With WELEDA quality, you can feel good too, and your child can discover a new caring routine of their own.